Only a few decades ago, people washed their hair every 2 weeks. Today, cleansing our hair has become a daily occurrence. This, however, is not necessarily the best cause of action. Frequent shampooing can lead to an irritated and oily scalp, the formation of dandruff, brittle hair and, in the worst case, hair loss. Our hair has become addicted to shampoos, conditioners, hair masks and oils. There are various alternative methods that replace the use of shampoo. This by no means insinuates that all hair care products be chucked from your bathroom, but rather we're taking a look at other possible options such as solid shampoos, cleansing powders, clays or household mixtures. A tried and trusted household remedy whereby the ingredients can be found in nearly all homes. Hair and scalp are cleansed with baking soda and then rinsed using diluted apple cider vinegar. The benefit of using this simple combination to cleanse the hair, is those excess substances such as silicone, paraffin or synthetic dyes or fragrances are forgone. Baking soda is well tolerated by the skin making it ideal to use when you have a sensitive scalp. How to use these ingredients to cleanse the hair is simply put, a piece of cake: Silute a heaped tablespoon of baking soda in half a litre of lukewarm water. Mix the apple cider vinegar using the exact same ratio. Pour the baking soda mixture on the scalp. leave on for a few minutes and rinse with the apple cider vinegar solution. Finish with a clear water rinse. This household remedy ensures your scalp is squeaky clean and hair radiantly glossy. It may take a while for your scalp to become accustomed to this new cleansing technique — four to six weeks. During this time, you may experience dandruff forming on the scalp or hair appearing more greasy than usual. Exercise caution if you intend to use the technique on colour-treated hair as it may fade the hair. These non-lathering powders thoroughly cleanse the hair in a very gentle and natural way. Thus, the powders can also be used as a baby shampoo, being free from chemical additives and very mild on the skin. 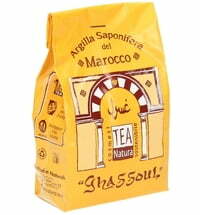 An all-natural clay cultivated in Marocco and used as a body care product for centuries. 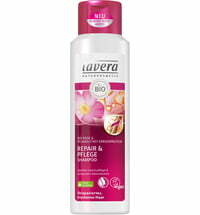 A true eco-friendly cleanser suitable for both body and hair. Simply mix the clay with water and mix until a paste is formed and use to cleanse the hair. The cleanser removes any oiliness from the hair and scalp. leaving behind a silky, shiny and supple feel. 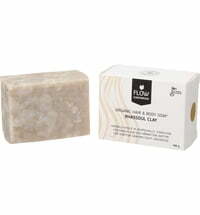 A solid shampoo that is free from mineral oils, synthetic preservatives as well as artificial dyes and fragrances. Furthermore, these practical cleansers are wrapped in paper packaging, making them environmentally friendly, too. The transitioning phase may take a few washes, however, once the scalp and hair adapt to this innovative shampoo shine, volume and strength are increased. All that is required is to wet the soap bar, gently rub into wet hair, rinse and repeat if needed.